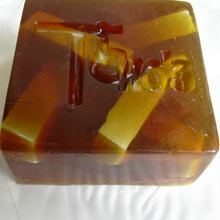 This special soap bar is truly something different - (a good 300g) measuring 10 cm x 10 cm x 4 cm (a normal soap bar weighs 100g -125g). All ingredients are natural.This piece is fragranced with honey and is very gentle to your skin. Also available in cinnamon. 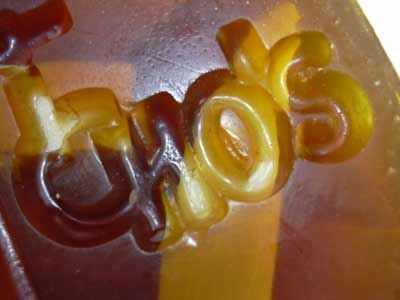 The soaps are handmade and can deviate from the shown picture.